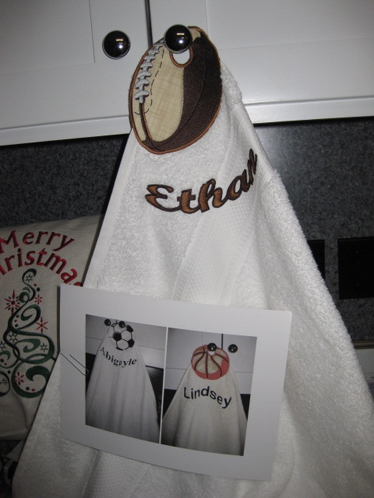 These towels have a sports ball theme embroidered at the top, right-hand corner of the towel. 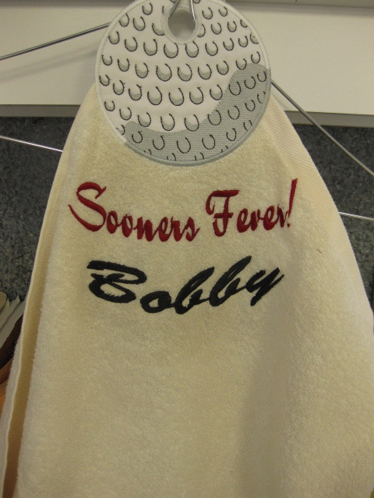 You will also notice a "hole" at the top of the ball. 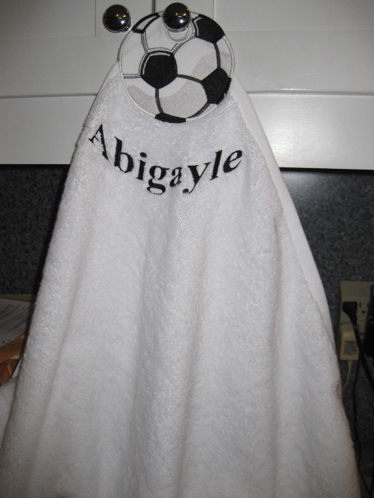 The towel is hung from a peg on the wall, for the child's easy access. 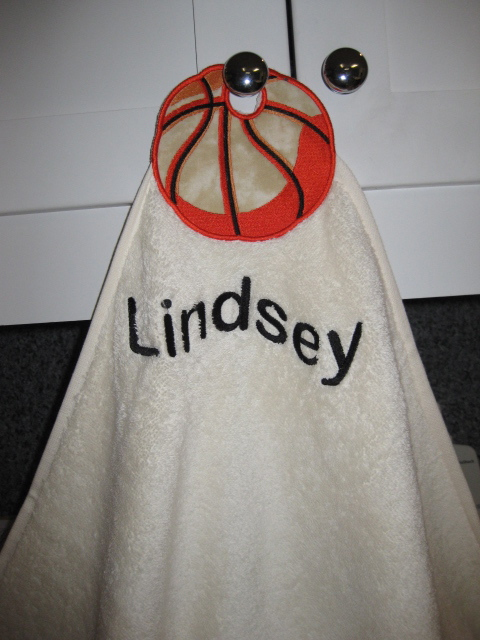 The child's first name or nickname is embroidered below the sports ball.